Dementia is now the leading cause of death in the UK. There are currently 850,000 people living with dementia in the UK; by supporting their pioneering research, we’re aiming to help make breakthroughs possible for people with dementia and their families. 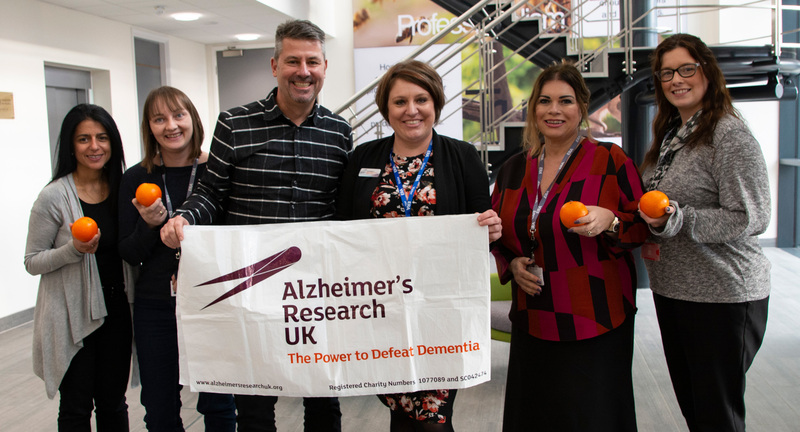 Challenging the way people think about dementia through powerful awareness campaigns such as Share The Orange. Watch the film to see what an orange has to do with dementia. Bringing together the people and organisations who can speed up progress. Investing in the most groundbreaking research to make breakthroughs possible. 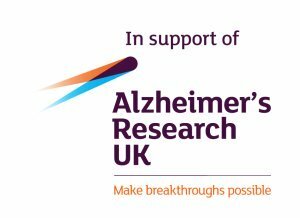 Research has already helped millions of people survive other health conditions, such as cancer and heart disease, and by supporting Alzheimer’s Research UK, we can make the same progress for people with dementia too. ERA supports a charity voted for by our employees every year and in 2018 we were thrilled to raise over £11,000 for the Midlands Air Ambulance Charity. Midlands Air Ambulance is responsible for funding and operating three air ambulances serving the communities of six Midlands counties: Gloucestershire, Herefordshire, Shropshire, Staffordshire, Worcestershire and the West Midlands. ERA supports a charity voted for by our employees every year and in 2017 we were thrilled to raise over £14,000 for Birmingham Children's Hospital. Birmingham Children’s Hospital is a leading UK specialist paediatric centre, offering expert care to over 90,000 children and young people from across the country every year. Delivering some of the most advanced treatments, complex surgical procedures and cutting edge research and development, the hospital treats one in five children from Birmingham and one in eight from the wider West Midlands. ERA supports a charity voted for by our employees every year and in 2016 we were thrilled to raise £14,185.50 for Cancer Research UK. Cancer Research UK is the world's leading cancer charity dedicated to saving lives through research. Their groundbreaking work into the prevention, diagnosis and treatment of cancer has seen UK survival rates double in the last 40 years. In 2015 ERA chose to support The Sick Children’s Trust and we again raised over £14,000 in support families with seriously ill children in hospital. The charity, set up over 30 years ago, provides free ‘Home from Home’ accommodation, as well as emotional and practical support, at leading children’s hospitals throughout the UK with the clear aim of keeping families together while children undergo lifesaving treatment. The Sick Children’s Trust has ten ‘Homes from Home’ and supports around 3,500 families every year. Its houses help relieve some of the practical and emotional strains of having a sick child in hospital, far from home.